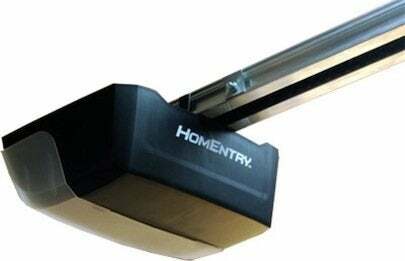 For decades, homeowners interested in automating their garage doors had three choices: chain-, belt- or screw-driven openers. That has changed with the introduction of residential jackshaft and direct-drive models. Some of the conventional wisdom about the three standard options has changed, too. Chain-driven models include a chain—similar to a bicycle chain—that pushes or pulls a trolley (carriage) that connects to a metal bar, called a J-arm, that is affixed to the garage door. If your garage is situated under a bedroom, the noise generated by metal-to-metal contact and vibration may be a nuisance. If the garage is detached, it probably isn’t. Newer chain-driven units with DC motors and soft start-and-stop technology are significantly quieter than older units. Belt-driven openers are similar in design to chain-driven models, except a reinforced belt is what pushes or pulls the trolley. The belts may be made of fiberglass, polyurethane, or steel-reinforced rubber. Belt-driven openers are just as reliable as chain-driven openers but quieter. The negative for belt-driven openers is that they cost about $30 to $60 more than chain-driven units. Direct-drive units are claimed to be the quietest of all garage door units, because there is only one moving part—the motor. Developed and manufactured in Germany, the motor (not a trolley) travels along a stationary chain that is embedded in an overhead rail. A J-arm links the moving motor to the door. Direct-drive units cost about the same as belt-driven units and come with lifetime warranties. DC motors are quieter, faster, smaller, lighter, smoother operating, and more efficient than AC motors. Many come with variable speeds, enabling soft-start and soft-stop technology. 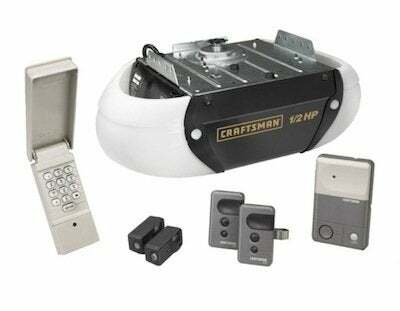 They can also be equipped with battery backup systems. With newer units, the battery is integrated with the opener motor housing. 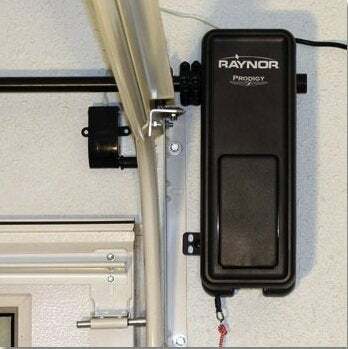 When the power fails, your garage door openers will continue to function for up to two days, depending upon how often you open and close the door. Battery backup will also ensure the continued operation of other functions, including garage lighting, security, and safety alerts. DC motors with brushes do not have the same life expectancy as AC motors, but brushless DC motors do.